EIPR is funded by among others, the Australian Embassy in Cairo, and carries out the same familiar role that other Western-funded NGOs did during the “Arab Spring” in 2011 – the covering up of the opposition’s violence and atrocities, and the leveraging of “human rights” to condemn the subsequent security crackdowns carried out in return by the state. Egypt’s current turmoil is a direct result of the 2011 so-called “Arab Spring.” While nations like Libya lie in ruins with the “revolution” a “success” and the Libyan people now subjugated by pro-Western proxies, and Syria as continues to fight on in a costly 3 year conflict that has cost tens of thousands of lives, Egypt has taken a different path. 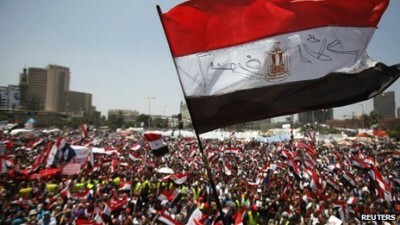 Far from simply capitalizing or “co-opting” genuine unrest, preparations for the “Arab Spring” began as early as 2008. Egyptian activists from the now infamous April 6 movement were in New York City for the inaugural Alliance of Youth Movements (AYM) summit, also known as Movements.org. There, they received training, networking opportunities, and support from AYM’s various corporate and US governmental sponsors, including the US State Department itself. The AYM 2008 summit report (page 3 of .pdf) states that the Under Secretary of State for Public Diplomacy and Public Affairs, James Glassman attended, as did Jared Cohen who sits on the policy planning staff of the Office of the Secretary of State. Six other State Department staff members and advisers would also attend the summit along with an immense list of corporate, media, and institutional representatives. Clearly then, the “Arab Spring” was long planned – and planned from abroad – with activists from Tunisia and Egypt on record receiving training and support from the West so that they could return home and sow unrest in a region-wide coordinated campaign. The Muslim Brotherhood’s role was hidden in plain site. 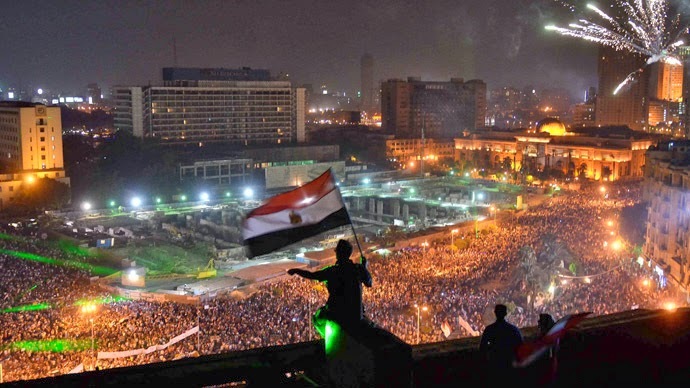 While the Western media focused on the more presentable “pro-democracy” leaders it had trained and put at the head of the mobs in Tahrir Square, it was the Muslim Brotherhood’s large membership that filled the rest of the square. They were also responsible for launching armed attacks across Egypt leading to the “revolution’s” 800+ death toll. 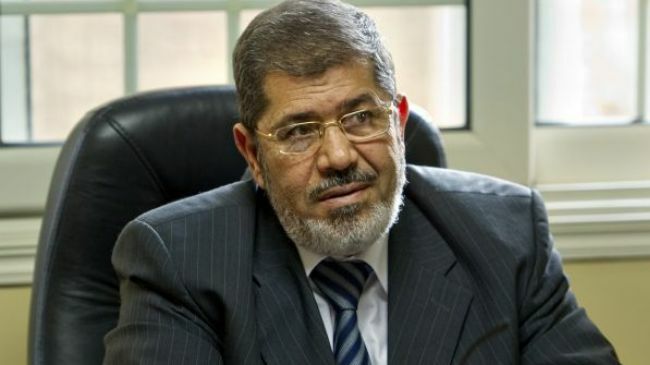 Image: Mohamed Morsi – hardly a “hardline extremists” himself, he is the embodiment of the absolute fraud that is the Muslim Brotherhood – a leadership of Western-educated, Western-serving technocrats posing as “pious Muslims” attempting to cultivate a base of fanatical extremists prepared to intimidate through violence the Brotherhood’s opposition. Failing that, they are prepared to use (and have used) extreme violence to achieve their political agenda. Egyptians quickly became distrustful of the protest’s leadership, particularly ElBaradei who’s ties to Western interests were uncovered and led to his swift fall from influence. The protest movement lacked the political machinery to actually fill the void their movement had created. Once again, the West turned to the Muslim Brotherhood – and the Western-educated Mohamed Morsi for results. The Muslim Brotherhood is a faux-theocratic sectarian extremist movement – a regional movement that transcends national borders. It is guilty sowing decades of violent discord not only in Egypt, but across the Arab World and it has remained a serious threat to secular, nationalist states from Algeria to Syria and back again. 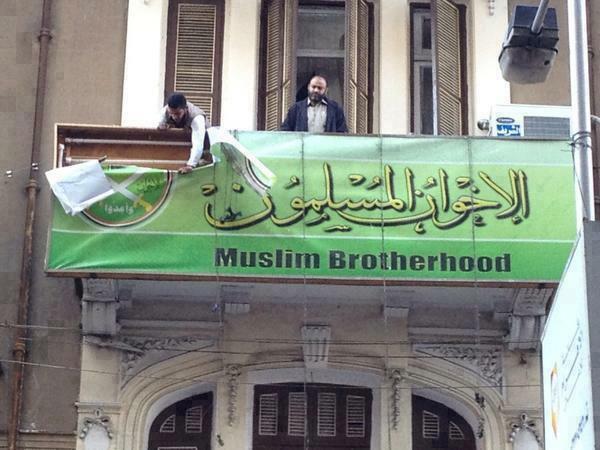 Image: Backlash against the Brotherhood. Despite the Muslim Brotherhood’s political success, it represents a violent, loud, minority that is quietly opposed by the vast majority of not only Egyptians, but Arabs across North Africa and the Middle East. Its high level of organization, immense funding provided by Saudi Arabia, Qatar, and even the West, including Israel, allows it to perpetuate itself in spite of its unpopularity, while its violent tactics allow it to challenge dissent. Morsi himself is by no means an “extremists” or an “Islamist.” He is a US-educated technocrat who merely posed as “hardline” in order to cultivate the fanatical support of the Brotherhood’s rank and file. Several of Morsi’s children are even US citizens. Despite a long campaign of feigned anti-American, anti-Israeli propaganda during the Egyptian presidential run-up, the Muslim Brotherhood had joined US, European, and Israeli calls for “international” intervention in Syria. Egypt had also broken off diplomatic relations with Syria which were only restored after Morsi was finally ousted from power. The Muslim Brotherhood’s Syrian affiliates have been funneling weapons, cash, and foreign fighters into Syria to fight Wall Street, London, Riyadh, Doha, and Tel Aviv’s proxy war. The same destabilization, step-by-step, is being carried out in Egypt once again through the Muslim Brotherhood. 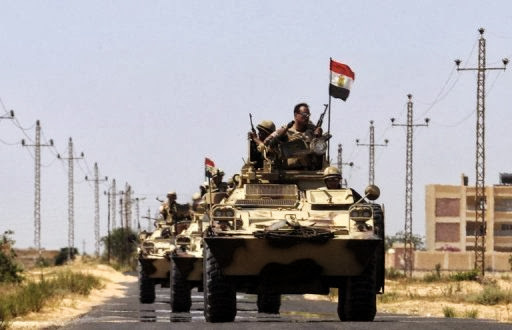 Legions of terrorists are waiting in Egypt’s Sinai region for the Brotherhood to sufficiently lay the groundwork in Egypt’s population centers so that they can be destroyed, just as has been done in Syria. And behind it all is the West, desperately trying to dislodge the Egyptian military from power with a combination of unpalatable carrots and broken sticks. US foreign policy think tanks and editorial columns are awash with comparisons between Egypt and Turkey and how Egypt can be transformed through the elimination of its politically influential military into a proxy state more like Turkey – a NATO member permanently bent to the will of Wall Street, London, and the European Union. How far the West is willing and able to go in Egypt to achieve this reordering and along what path they will do it is still difficult to tell. How far they are willing to go in general can be seen in the rubble strewn streets of Syria’s smoldering, decimated cities. With the addition of the Muslim Brotherhood to the formula, and considering their role in Syria’s continued destruction, Egypt’s military-led government may be accused of using excessive force – but with Egypt many times larger than Syria in terms of population and land area, and considering the devastation and loss of life that has occurred in Syria, the alternative – appeasement, temporary accommodation, denial, or inaction – is utterly unacceptable. Image: While the Western media attempts to portray the military coup as an antiquated feature of failed states, it has been and always will be an essential “check and balance” of last resort. In Egypt, the military initially bent with the force of foreign-funded political destabilization as part of the “Arab Spring,” bid its time, and when the moment was right, overthrew the West’s proxy-regime of Mohamed Morsi. It did so with decisive and unyielding security operations to permanently uproot the regime’s power, and stem any attempts of triggering armed conflict backed by the West to reclaim power. The “Egyptian Model” may prove instructive for Thailand’s current political crisis.